Promotions for Books & Drawings happening now. Lots of interviews, contests with drawings, and Rafflecopter options to give you chances for free books. Tonight, you’re invited to a fun Facebook party. I’ll be giving away a copy of The Bucket List Dare in the Kindle format. 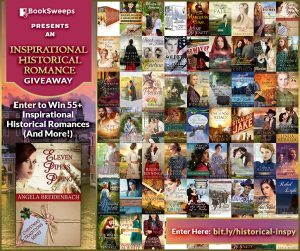 And more this week, Ryan Zee’s Inspirational Historical Romance Giveaway featuring Eleven Pipers Piping! While 2nd place gets all the 55 books. 3 different books and giveaways… I hope you’ll enter for all of them.